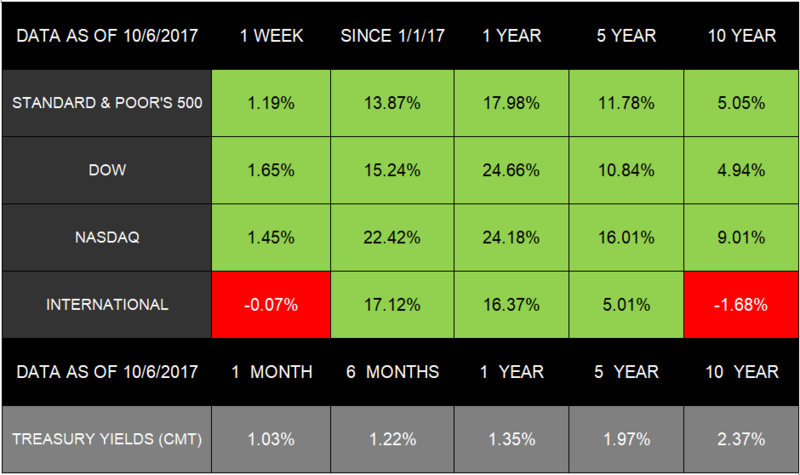 We also began the first trading week of the 4th quarter last Monday, so we will review Q3’s performance and what lies ahead for Q4. Of course, the coming weeks will give us an even clearer understanding of Q3 performance—and Q4 expectations. If you have questions about how the markets are affecting your portfolio and future, please let us know. We are here to provide the guidance you need and help clarify your investment process. Prep grill by preheating it to medium-high. Cover grill rack with cooking spray. Sprinkle ¼ teaspoon each of salt and pepper on the steak. Grill steak 3 to 4 minutes on each side or to preferred temperature. Remove steak from grill and let sit for 5 minutes. Cut steak into thin slices, going across the grain. Combine olive oil, vinegar, and remaining salt and pepper in a large bowl. Toss together arugula, basil, tomatoes, and cucumbers in bowl with olive oil mixture. 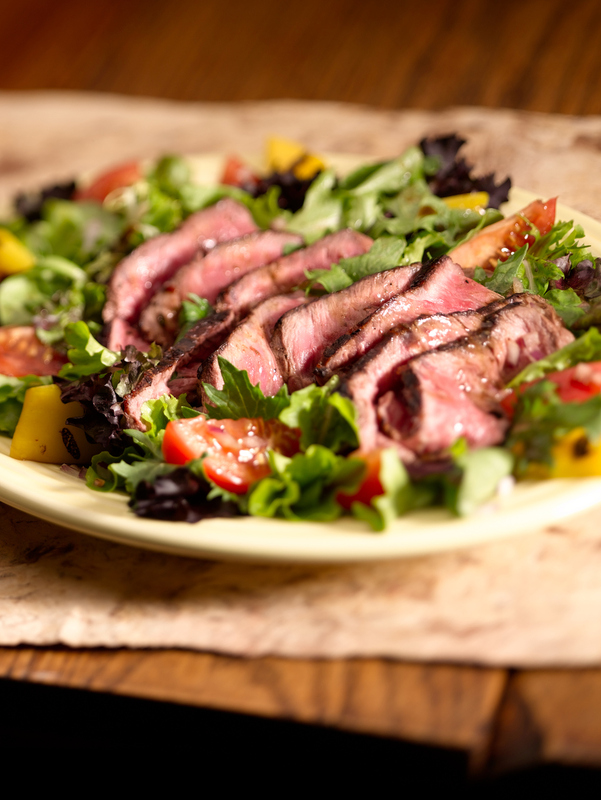 Mix the steak and bread cubes into the salad, and let sit for 10 minutes before serving. Deadline: Taxpayers with an extension must file their 2016 taxes by Monday, October 16. Military Extension: Those that are in the military and work in combat zones have more time to file. Generally, they have up to 180 days to file and pay their taxes after leaving the combat zone. Disaster-Areas Extension: Taxpayers either living or working in disaster areas can often take more time to file. You can find additional info on the IRS disaster relief page. Free File: The IRS provides taxpayers with the option to file and pay their tax returns online. You can do so for free, and the filing capabilities differ depending on your income. No one likes landing in a sand trap, but a greenside bunker shot makes a bad lie even worse. If you want to recover from this situation, you need to have the skill—and nerve—to hit the ball just right. Hitting a greenside bunker shot successfully requires you to address two key factors: 1) how much speed is in your swing and 2) where you enter the sand with your clubface. If you’re staring at an upslope or your ball is stuck in the sand, try the “chunk-and-roll” to get the height you need. With this approach, you’re trying to make your ball pop out high, travel with no spin, and follow the green’s break. The ultimate goal is to have your clubhead blast the sand 2- to 3 inches behind the ball, so you have no chance of hitting it thin. Distribute your weight evenly across the slope by favoring your front foot. Open your stance a bit and swing along your foot line. Make sure you swing hard, using a downward driving motion. Keep the slope from stopping your club’s momentum by exploding through the shot with your arms and shoulders strong. Prediabetes is a medical condition where you have higher than normal blood sugar levels but haven’t yet developed type 2 diabetes. Typically, unless someone with prediabetes makes lifestyle changes, they will end up developing diabetes. The long-term effects on your heart, blood vessels, and kidney could start before you even develop the disease. What risk factors exist for prediabetes? Overweight: When you have more fatty tissue, in particular around your abdomen, your cells become more resistant to insulin. Dietary Habits: Specific foods can increase your chance of developing prediabetes when eaten regularly. These include red meat, processed meat, and sugar-rich foods and drinks. Exercise: You are more at risk the less physically active you are. By not exercising regularly, you don’t burn up the glucose you’d otherwise use for energy. Choosing to ditch plastic in your home is a great way to support a green lifestyle. With the plethora of household items made from plastic, you can make a real difference with some relatively easy tweaks. A great starting point is to replace plastic kitchen items made with eco-friendly alternatives. Plastic containers: Instead of storing food in plastic containers, like Tupperware, use glass jars or metal containers instead. Plastic sandwich and snack bags: You can swap plastic bags in your lunch with glass or metal containers. Dishwashing detergent in plastic bottles: You can buy powdered detergent that comes in a cardboard container, and then recycle the box once you’re done with the product. Nonstick pans: The ingredient that makes those pans nonstick is actually plastic, which you can avoid by using cast iron skillets or stainless steel pans.